Cardinal Dolan and Archbishop Gregory Aymond of New Orleans share a laugh before the cardinal addressed the Louisiana Priests' Convention Sept. 19. 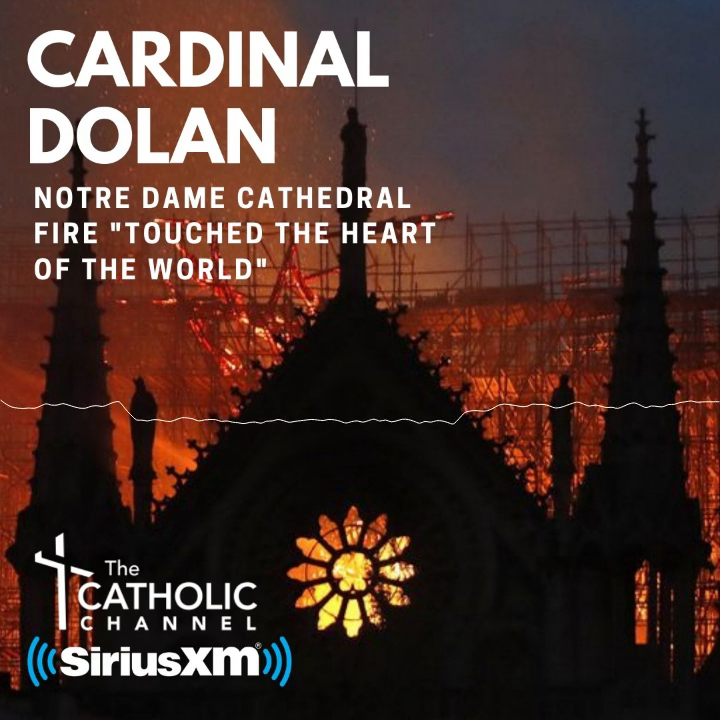 NEW ORLEANS–Cardinal Dolan suggested to more than 400 priests of the state of Louisiana that humbly and openly sharing the “wounds” and shortcomings of the Church might bring those who are alienated back to the practice of the faith. Using the image of the Church as “our supernatural family, which we, as priests, are called to image,” Cardinal Dolan told the opening session of the three-day Louisiana Priests’ Convention Sept. 19 that human weakness has been a part of the Church from the beginning. The cardinal said while the world is “ever ready to headline the flaws of the Church,” the dynamic changes when “her loyal members are more than willing to own up to them.” If that happens, people estranged from the Church “might just take a second look,” he said. The Acts of the Apostles, especially the conversion of St. Paul, makes clear that “Jesus Christ and His Church are inseparable,” the cardinal explained. “He didn’t say, ‘Why do you persecute my people?’ Nope. ‘My followers?’ Nope. ‘My disciples?’ Nope. To be rather blunt, Jesus and His Church are the same. Christ and His Church are one. Jesus Christ and His Church are synonymous. A YouTube video by evangelical Jefferson Bethke—“Why I hate religion but love Jesus”—“went viral with 27 million views” because of that sentiment, the cardinal said. “If we’re not afraid as priests to show our wounds—the wounds of the Church, the wounds of our family—maybe the other wounded will come back,” Cardinal Dolan said. The eighth Louisiana Priests’ Convention is one of the largest statewide gatherings of priests in the United States, said New Orleans Archbishop Gregory Aymond. Peter Finney Jr. is executive editor and general manager of the Clarion Herald newspaper of the Archdiocese of New Orleans.